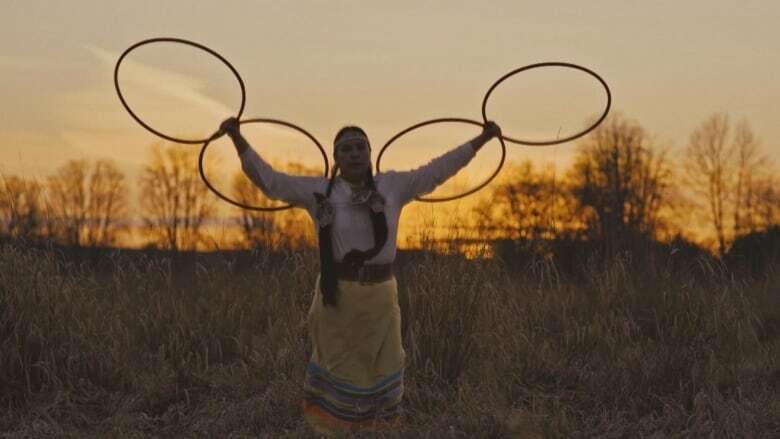 Jessica McMann, a Calgary-based Cree artist, created her latest choreography out of a sense of frustration and desire to get an important message across to Canadians. Her new dance and music work Iikitapiit opens with her lying in a field. "A lot of Indigenous women are found in fields and in ditches," she said. "My own family members have gone missing for periods of time so that's a place of a lot of anger and hurt. This is a platform to bring that image directly to the masses of people." The name of the work was chosen by McMann's mother-in-law, a fluent Blackfoot speaker. It means to be strong after loss and to keep going. "That was a perfect word, or sentence, to encapsulate what I was working with in the film," McMann said. For McMann, it was crucial to portray the struggle and fears faced by Indigenous, queer, two-spirited people and women in particular. "The dance started off as this idea of warrior women and that [n the past] were always able to protect ourselves," McMann said. "Sometimes we don't have that these days." She combines traditional ways of dancing with four red hoops in a contemporary setting, set to the sound of flutes, pedals, and beats. "With our songs and our dances, they are healing and they are strength-giving — they offer something else to our communities," she said. "We're all over the place and we're starting to ignite. If you need strength, you can sing this song. You can dance this dance. You can fall back on to these things."